Over the past couple of years I’ve written heavily about keyword research, sharing my experiences working both in eCommerce and on large-scale content projects. I even recently put out a little keyword research tool. I would pool together all the links I could, put them into an email, and then try to explain the process. This usually resulted in long email chains of back and forth questions and examples.. and more times than not, people getting overwhelmed and simply giving up. The problem was all of the methods out there didn’t out the research into context, starting from the very beginning. This guide solves that problem. It starts off explaining the intrinsic value of a keyword, how to approach thinking about the process, and breaks down their composition in terms of intent. It gives examples of intent and how to look for it. It steps you through how to tie your keywords back to costs and revenue, and project an accurate return on investment. Thanks to Accel.io, it serves as an interactive community. You can comment on any of the sections and every member of the guide can join in the conversation. As a hosted version, versus just a PDF, the content will continue to evolve going forward. Just last week I went back in an updated all of the old keyword tool references and processes to now show the keyword planner – and I’ve already added 3 new sections based on questions and feedback from testers. So it really is just getting started. [testimonial picture=”http://www.seonick.net/wp-content/uploads/2013/09/ebcfd3ef7154ebb4122a34f42b2aa42a.png” name=”Jon Cooper” role=”Owner, PointBlankSEO” align=”featured”]There’s honestly no better alternative for a start to finish guide on how to do keyword research. [testimonial picture=”http://www.seonick.net/wp-content/uploads/2013/09/jason-acidre_KaiserTheSage.jpeg” name=”Jason Acidre” role=”Owner, KaiserTheSage” align=”featured”]This is the most extensive guide on Keyword Research that you’ll ever find on the Internet. 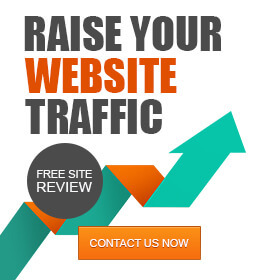 [testimonial picture=”http://www.seonick.net/wp-content/uploads/2013/09/9a951676cd80177eb33ff20f38bcce1b.jpeg” name=”Anthony Nelson” role=”Owner, NorthsideSEO” align=”featured”]This is by far the most comprehensive yet easy to understand guide on keyword research that I have ever come across. A must read for all new employees and veteran SEO’s looking to improve their skills. [testimonial picture=”http://www.seonick.net/wp-content/uploads/2013/09/ee9347dcd7e5761fe20fdea00a6c3c29.jpeg” name=”Nathan Johnson” role=”Founder, PromoFly” align=”featured”]This is AWESOME! No joke, just yesterday I was wishing you had a start to finish guide of your process. [testimonial picture=”http://www.seonick.net/wp-content/uploads/2013/09/bf7a3b47896ac3dfe2438b266544b55d.jpeg” name=”George Maicovschi” role=”Senior Developer, DevourSales” align=”featured”]Nick has went over the top with this guide, taking the reader from the basic concepts of what keyword research is and right up to performance analysis. One of the “must read” guides if you’re into SEO, even if you’re a “veteran” and especially if you are just getting started. [testimonial picture=”http://www.seonick.net/wp-content/uploads/2013/09/6f998485f8be037733030bb1b0dcc665.jpeg” name=”Barrie Moran” role=”Technical SEO” align=”featured”]When it comes to keyword research there is no one better thank Nick Eubanks. Keyword research has always been an essential part of the SEO process, as it is the cornerstone of any project. However, it can be a mind-numbing task if you are unfamiliar with the right steps and tools. Nick lays out for you in, consumable language, how to conduct research, build your opportunity model and gives you the tools you should use. Just bought the Guide on How to Do Keyword Research For #SEO - http://t.co/oUd7EnDcJV via @nick_eubanks - Get yours now. Just read @nick_eubanks new guide: How To Do Keyword Research For SEO - http://t.co/jEbw2xAYR9 +1 & love the 10 step funnels examples. One of my favorite benefits of publishing with Accel.io is the opportunity to leverage their no hassle, 7-day 100% money back guarantee, no questions asked. If you aren’t completely satisfied with the guide, you get your money back immediately, no if, ands, or buts.